Moving can be extremely stressful and hectic, and at the end of it, most people feel exhausted, or even depressed. We know that you would like to avoid all of that and in case your moving date is approaching and you still have no idea how you are going to manage the pressure, here are a few handy ideas that can save your life by making your first post-removal days as stress-free as possible. One of the first things that you need to take care of if you want an effortless removal that will not leave you wishing you have never had to do it is to carefully plan and prepare for that task. You should know what to expect so that you can eliminate the pressure from the equation of the moving job. 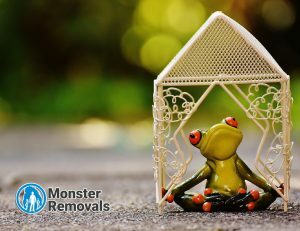 No matter how much thought and effort you have invested, however, the easiest way to fully prepare for your upcoming relocation is to hire a professional house removal firm in London. Professional movers will give you the assistance you need. In this way, you will rest assured that there is always someone who is going to have your back with the sufficient skills, know-how and equipment to carry out an impeccable domestic removal. Turn a potentially harmful experience into a bonding one for your family. Not only will you have help with the many tasks that need to be handled during the preparation stages, as well as the actual moving day, but you will be brought closer together by the feeling that you have overcome a great obstacle. Find out what your new address has to offer you in terms of amenities and interesting landmarks that you might find curious. Or just go out for a stroll in a local park and reconnect with nature – after all, London is the greenest city of this size in Europe, and probably the world, so you will be able to find a large public park near you where you can indulge in sporting and recreational activities. Physical activity is proven to be very beneficial in battling stress. Last, but not least, you can just get away. After your relocation is over, go on a much-deserved vacation with a loved one, or kick back at the beach for a couple of days, so that you can forget about all the negative effects and the exhaustion from the last few days.